I think "only" 150ish pictures/collages over a period of 4 days is pretty good! 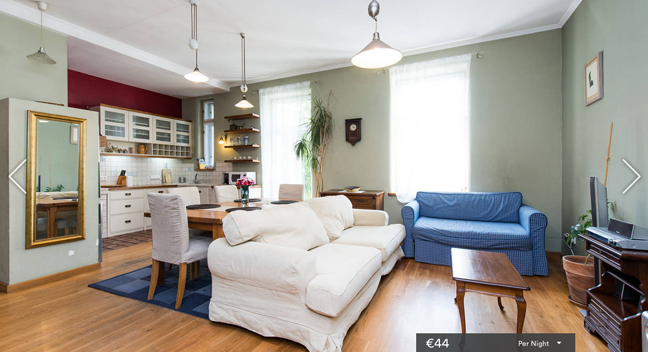 8.5 hours later, we arrived at the apartment we rented on airbnb for 44 euros a night. Usually I post one collage of the apartment and call it good, but this place had so much character and details, I'm sharing a few more. 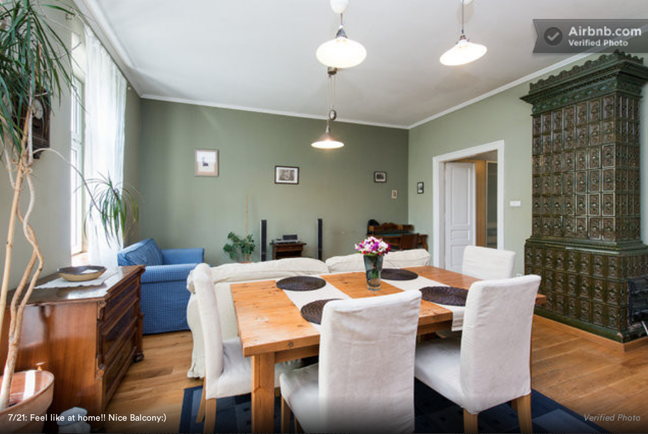 Love the big open floor plan, high ceilings, and decorations. 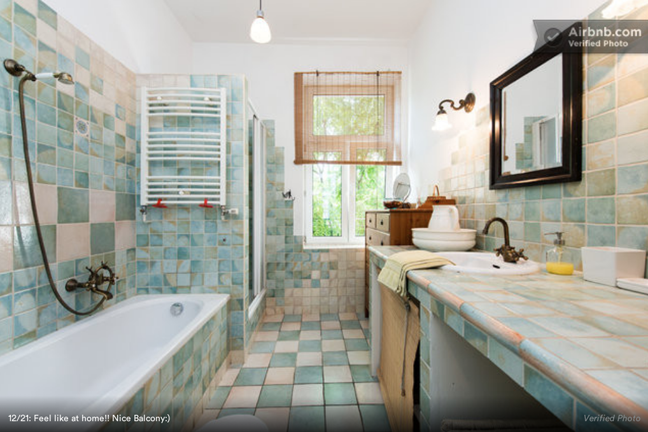 I loved all the different tilework. 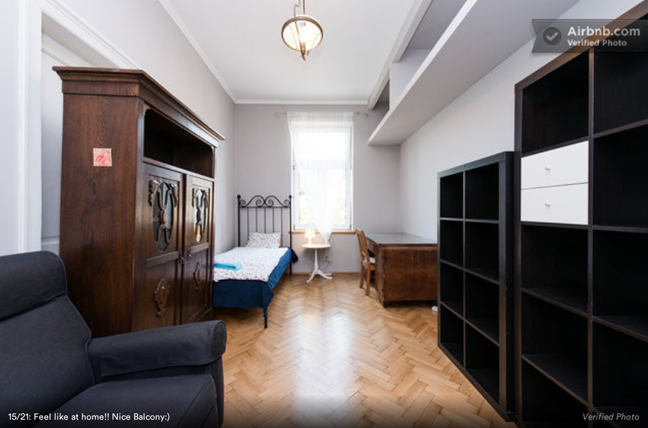 And there were three bedrooms! One for us. There was also a patio, but it didn't seem the safest in the world so we stayed indoors. there weren't shades on the windows so we improvised and put the extra mattresses in the sills to make it dark for the kids to sleep, and they were doing renovations at all hours in the apartment next door and it was LOUD. Anyway, would we stay there again? Probably. So that says something! After we unpacked and rested up a bit we wanted to walk downtown. 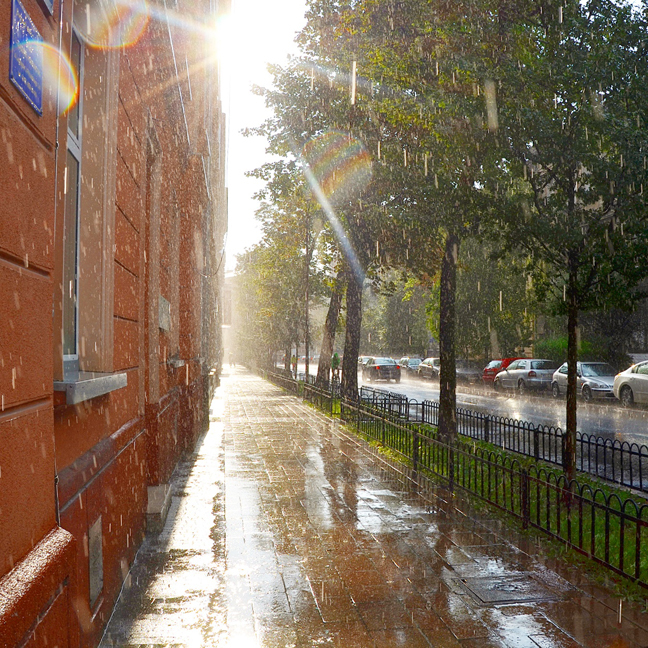 But the second we stepped outside it started raining cats and dogs! Guess we're not goin' anywhere today! Eventually it stopped raining and we walked to the corner market and got some snacks before putting the kids to sleep then we watched a couple episodes of HOUSE. Never seen this show before and now I'm hooked! DAY 2 We were up and at 'em by 7am! Flower pots made of old tires. Creative! Layers upon layers upon layers of ads. 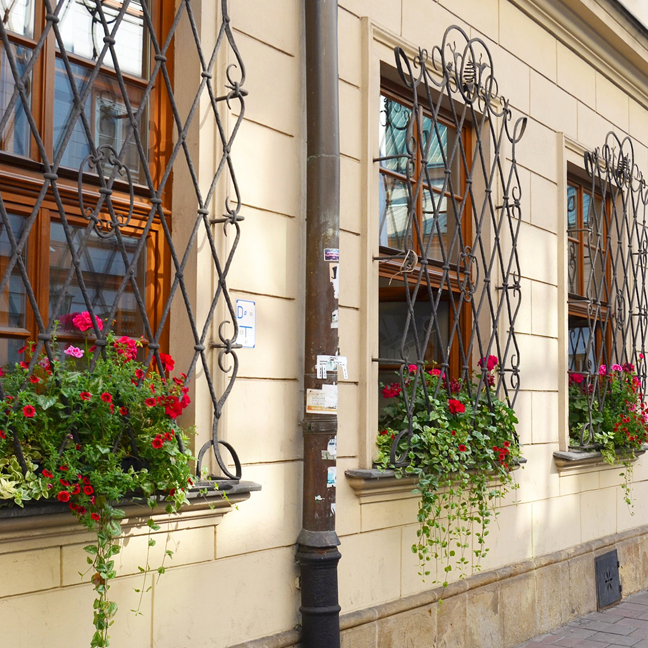 Kraków is one of Poland's best destinations, says Rick Steves. It's a beautiful, old-fashioned city buzzing with history, enjoyable sights, tourists, and college students. Even though the country's capital moved from here to Warsaw 400 years ago, Kraków remains Poland's cultural and intellectual center. 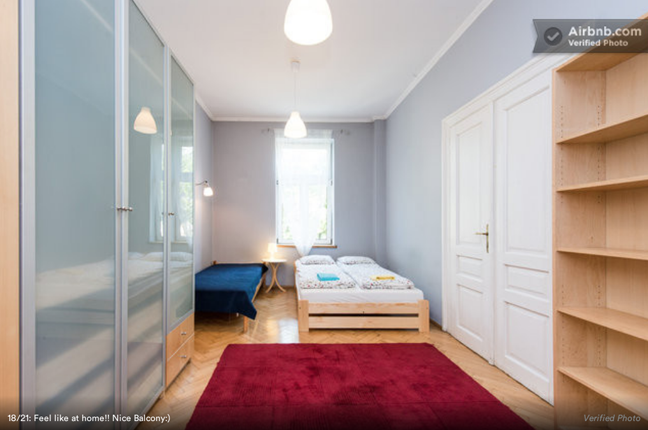 Of all of the Eastern European cities laying claim to the boast "the next Prague," Kraków is for real. Kraków grew wealthy from trade in the late 10th and early 11th centuries. Traders who passed through were required to stop here for a few days and sell their wares at a reduced cost. 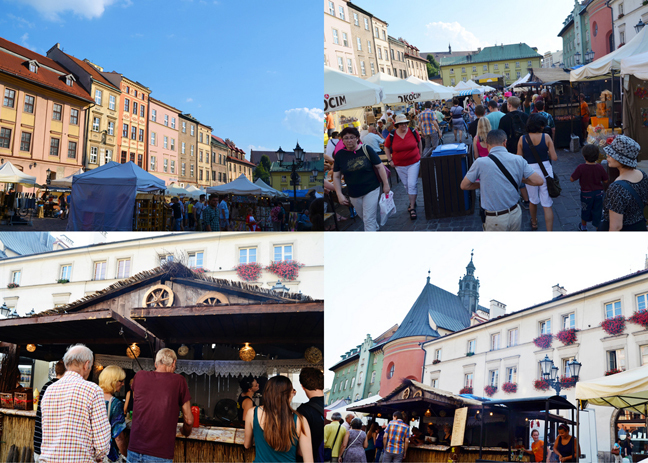 Local merchants turned around and sold those goods with big price hikes... and Kraków thrived. 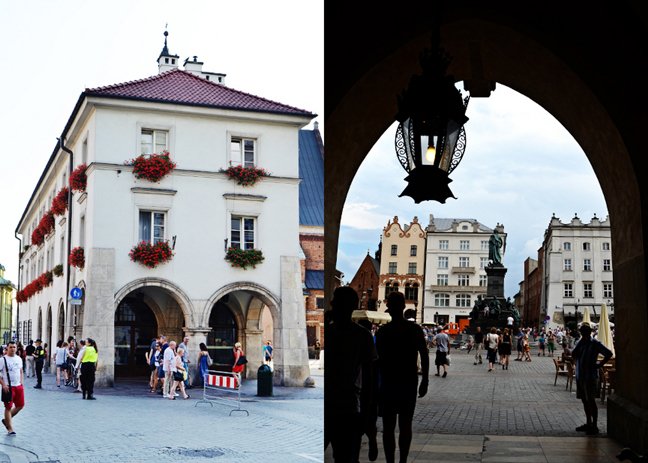 In 1038 it became Poland's capital. Tatars invaded in 1241, leaving the city in ruins. 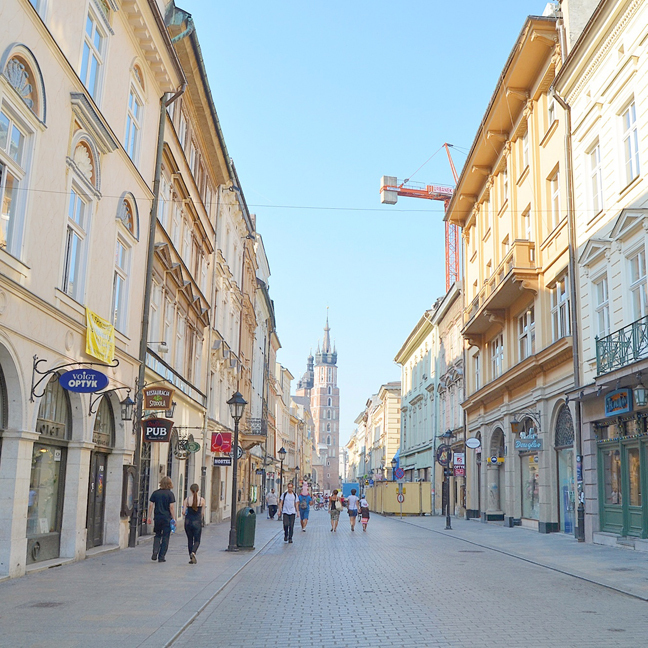 Krakovians took this opportunity to rebuild their streets in a near-perfect grid, a striking contrast to the narrow, mazelike lanes of most medieval towns. The destruction also paved the way for the spectacular Main Market Square - still Kraków's best attraction. The history from then until now is complex and very interesting and I could write pages about it. From the Nazis to Communists, the birthplace of Pope John Paul II to Oskar Schindler's factory, it's all fascinating and I'll delve a little deeper as we visit the sights. Our self-guided walk was along the route known as the "Royal Way" because the king used to follow this same path when he returned to Kraków after a journey. After the capital moved to Warsaw most kings were still crowned and buried in Wawel Cathedral at the far end of town - and they followed this same route for both occasions. 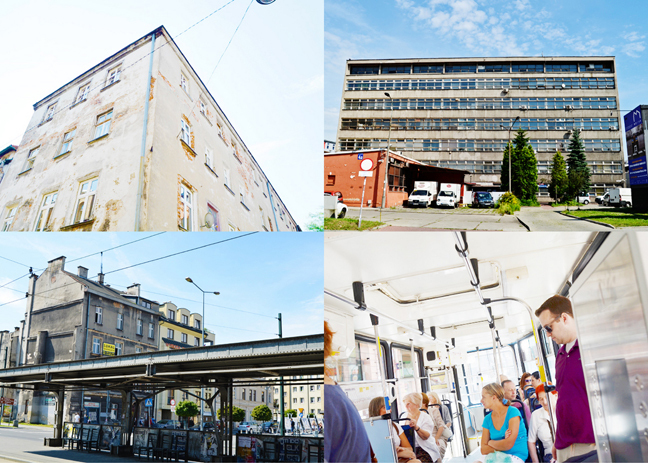 No need for trams or buses, our apartment was just a 10 minute walk away! First stop - the Grunwald Monument. The Battle of Grunwald, fought between the joint armies of Poland and Lithuania against the Teutonic Knights on July 15, 1410 is considered to be one of the greatest battles ever to take place in medieval Europe. 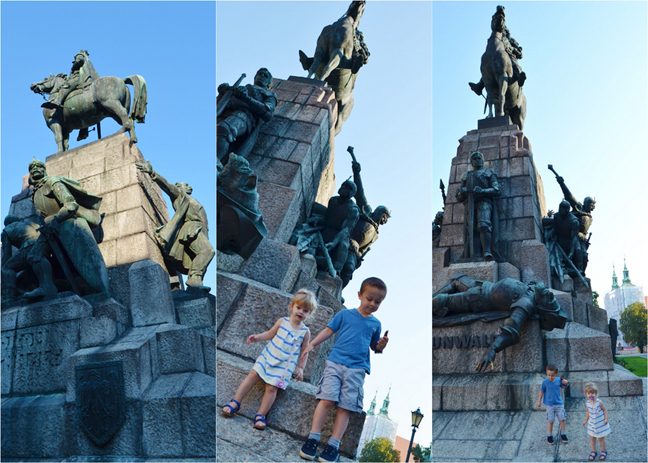 A defining moment in Polish history, the battle was immortalized in Kraków with the unveiling of this weighty monument in front of an estimated 160,000 people on the 500th anniversary of the event in 1910. Antoni Wiwulski's (1877-1919) original masterpiece was, not surprisingly, destroyed by the occupying Nazis during WWII and the copy that now stands in its place dates from 1976, having been faithfully reproduced using sketches and models of the original. At the top on his horse is the King of Poland Władysław Jagiełło, his sword pointing downwards in his right hand. At the front is his cousin the Lithuanian prince Vytautas (Vitold) who is flanked on either side by victorious soldiers from the joint army. The dead man at the front is Urlich von Jungingen, the Teutonic Order’s Grand Master, who lost his life during the battle. Just beyond the Grundwald Monument is the Barbican and City Walls. Tatars invaded Kraków three times in the 13th century. After the first attack destroyed the city in 1241 Krakovians built this wall. The original rampart had 47 watchtowers and eight gates. This big, round defensive fort standing outside the wall is a barbican. Structures like this provided extra fortification to weak sections. Before entering the Old Town we looked left and right to see the Planty - by the 19th century Kraków's no-longer-necessary city wall had fallen into disrepair. Krakovians decided to tear down what remained, fill in the moat, and plant trees. 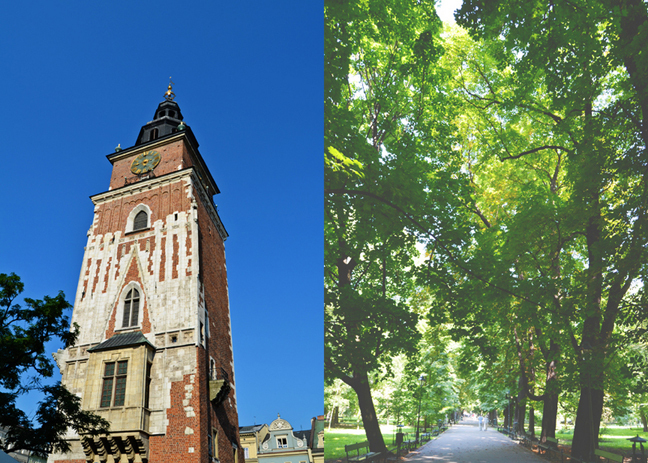 Today the Planty is a beautiful park that wraps 2.5 miles around the entire perimeter of Kraków's Old Town. It was a wonderful way to escape the heat and sunshine during our long walks - the shady trees and quiet atmosphere lifted our spirits. 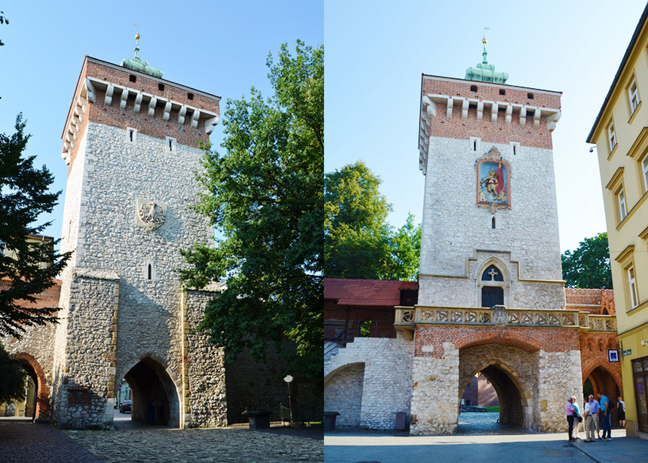 The Florian Gate, front and back. Or vice versa. Not really sure which is which! 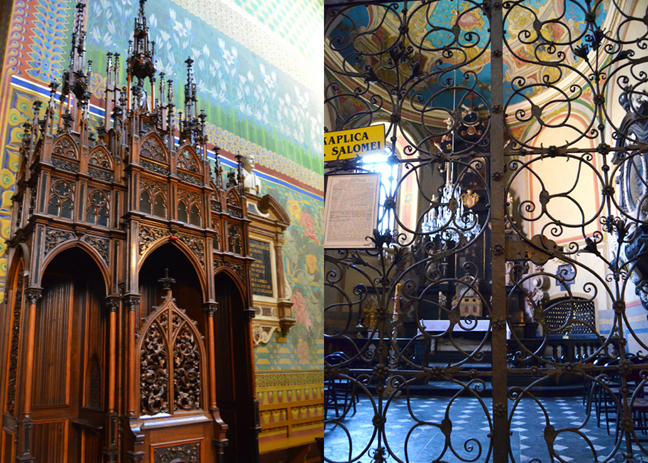 Inside the Florian Gate is a little chapel with a replica of the famous Black Madonna of Częstochowa, probably the most important religious symbol among Polish Catholics. Fox walking on through the gate. Fox using a model of the city as a racetrack for his car. Right through the gate on Floriańska Street is a makeshift art gallery where starving students hawk the works they've painted at the Academy of Fine Arts across the street. So vibrant and colorful! Sadly we didn't purchase one, but we admired! 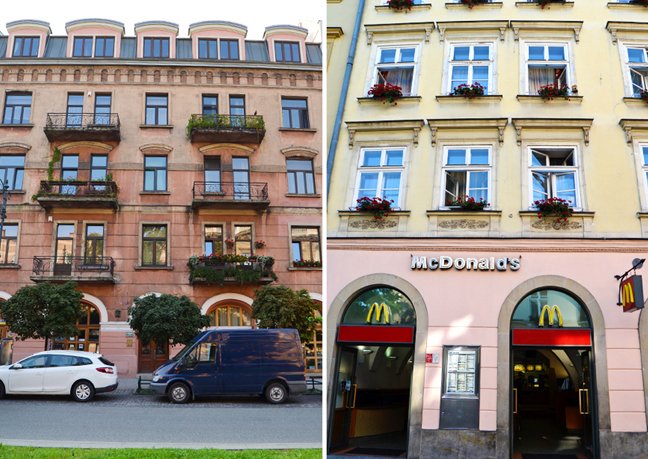 Standing at the top of Floriańska is a McDonald's which we frequented every day. I know some people are disappointed in us for not trying the local cuisine, but at this point in our lives, McDonald's comes to our rescue with toddlers and quick-fix meals they're guaranteed to eat. Plus they had a chicken curry wrap that I can't stop thinking about, it was so good! When renovating this building they discovered a Gothic cellar so they excavated it and added seating. Today you can supersize the ambiance by dining on a Big Mac and fries under a medieval vault. 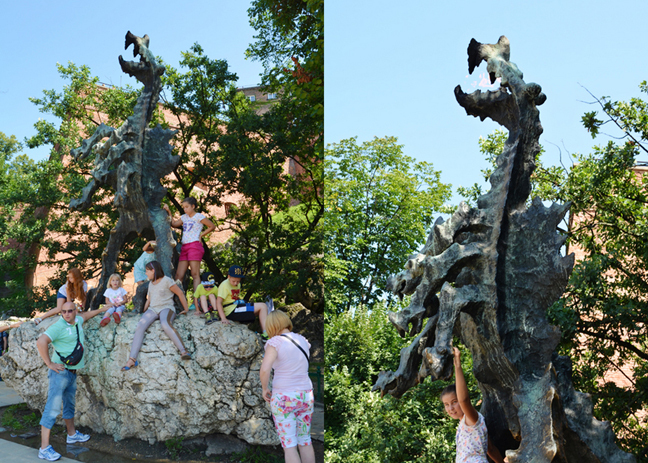 Our family at the top of Floriańska Street on Saturday August 9th 2014. Another view of Floriańska Street. When we reached the Main Market Square we were sooooo sad - it was completely filled with a bike race called Pologne or something. Huge ugly blow up contraptions, gated fences forcing you to go one way, tons of spandex, the works. Sigh. I asked my instagram friends who live here about it and they said it'd be over that night so we crossed our fingers we could get the views we came to see the next day. But, still lots more to see and do, so we kept on keeping on. Hard Rock Cafe on the Main Market Square in Kraków, Poland! Jane could chase pigeons all day long. She calls them chickens and goes "bock bock be-gock!". Pigeons. Chickens. They do sound a similar. 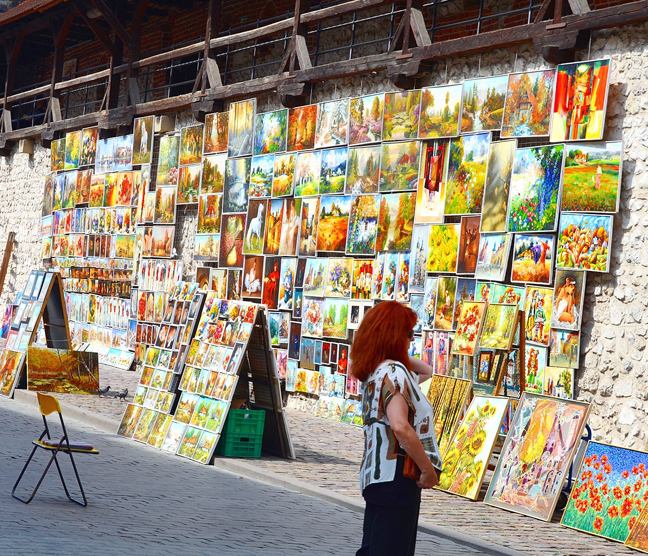 Kraków's marvelous Square, one of Europe's most gasp-worthy public spaces, bustles with street musicians, colorful flower stalls, cotton-candy vendors, loitering teenagers, businesspeople commuting by foot, gawking tourists, and tons of pigeons. This square is where Kraków lives. The Square was established in the 13th century when the city had to be rebuilt after being flattened by the Tatars. At the time it was the biggest square in medieval Europe. It was illegal to sell anything on the street so everything had to be sold here on the Main Market Square. The huge yellow building right in the middle of the square is the Cloth Hall. In the Middle Ages this was the place where cloth-sellers had their market stalls. 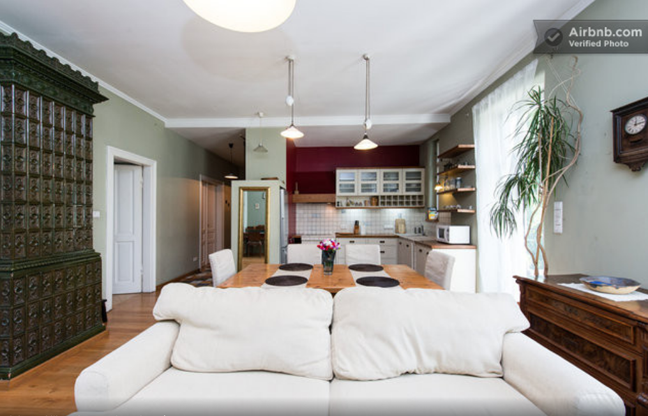 Kazimierz the Great turned the Cloth Hall into a permanent structure in the 14th century. In 1555 it burned down and was replaced by the current building. Recently restored and gleaming, the Cloth Hall is still a functioning market selling mostly souvenirs, wood carvings, chess sets, jewelry (especially amber), painted boxes, and trinkets. View into the Cloth Hall before it opened at 9am. Open for business and filled with shoppers. On the other half of the square is the Town Hall Tower. This is all that remains of a town hall building from the 14th century when Kraków was the capital. And a picture of the beautiful Planty. Fox and Jane had fun playing peek-a-book through the eyes. Down ulica (street) Bracka the flower-filled windows caught my eye. Every ten feet. Sorry Chris! 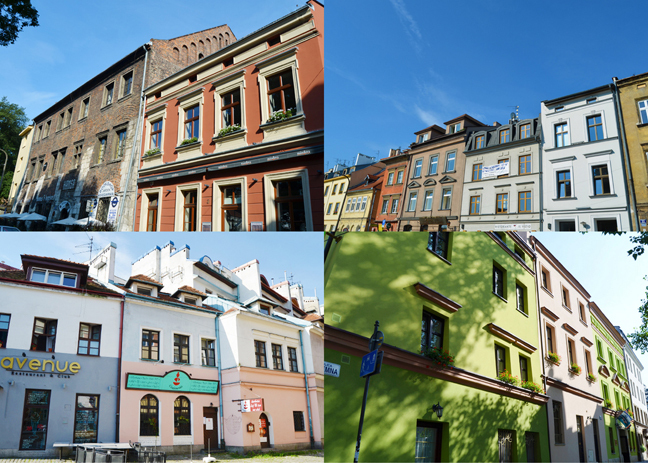 Colorful Kraków. At the end of the street is St. Francis' Basilica. 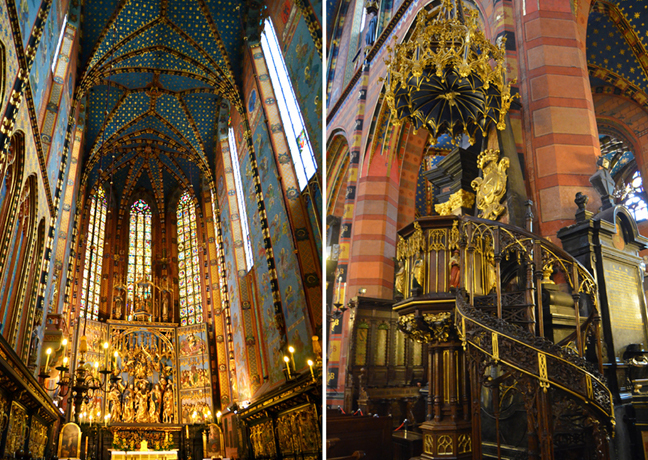 This beautiful Gothic church, which was Pope John Paul II's home church while he was archbishop of Kraków, features some of Poland's best Art Nouveau in situ (in the setting for which it was intended). After an 1850 fire it was redecorated by the two leading members of the Young Poland movement and the glorious interior is the result of their great rivalry run amok. There are a lot of neat and interesting facts and artworks in the church, but we had to breeze on through with our offspring. 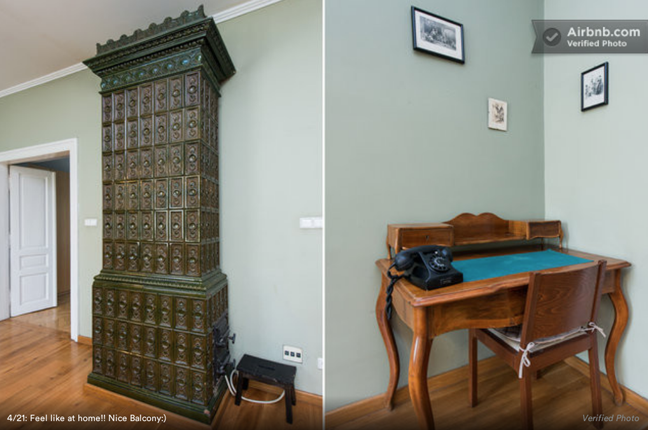 Gorgeous details and wood carvings. Back outside St. Francis' Basilica. So peaceful. Across from St. Francis' Basilica is the Archbishop's Palace. 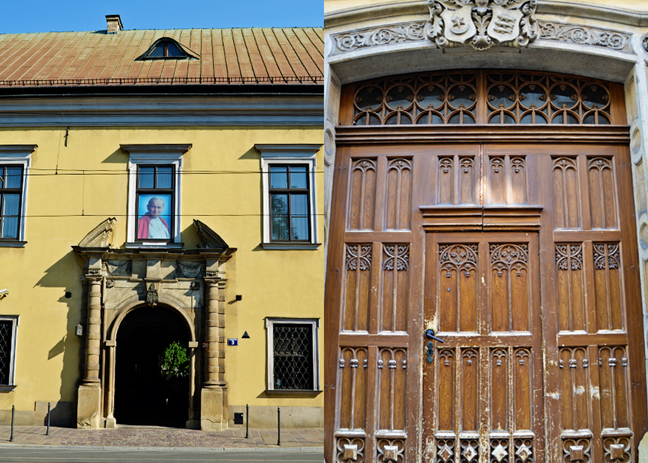 This building (specifically, the window over the stone entryway) was Pope John Paul II's residence when he was the archbishop of Kraków. When he became Pope it remained his home-away-from-Rome for visits to his hometown. After a long day of saying formal Mass during his visits to Kraków he'd wind up here. Weary as he was, before going to sleep he'd stand in the window for hours, chatting casually with the people assembled below - about religion, but also about sports, current events, and whatever was on their minds. In 2005 10,000 Krakovians were on this street and fell to their knees in silence when the Pope passed away. Turning right down busy Grodzka Street - this lively thoroughfare, connecting the Square with Wawel, is teeming with shops - and some of Kraków's best restaurants and milk bars (cheap government subsidized food). Back when Kraków was just a village, Mary Magdalene Square was the main square. 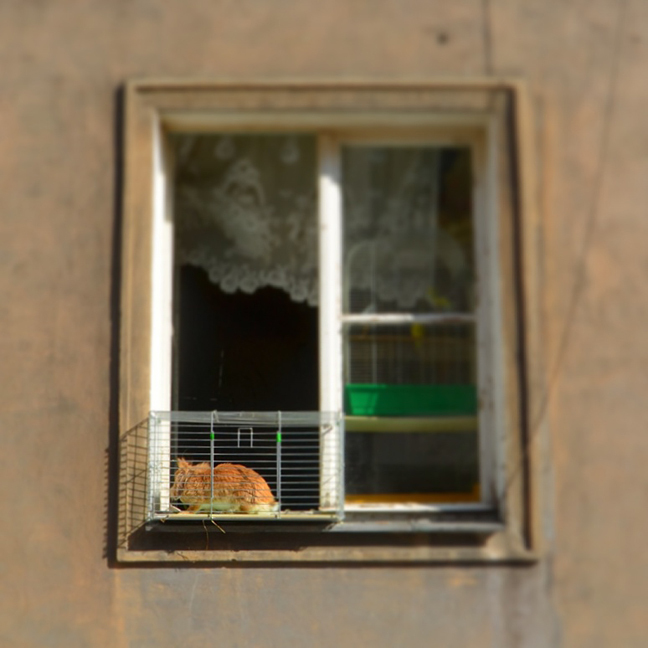 Today it offers a great visual example of Kraków's deeply religious character. 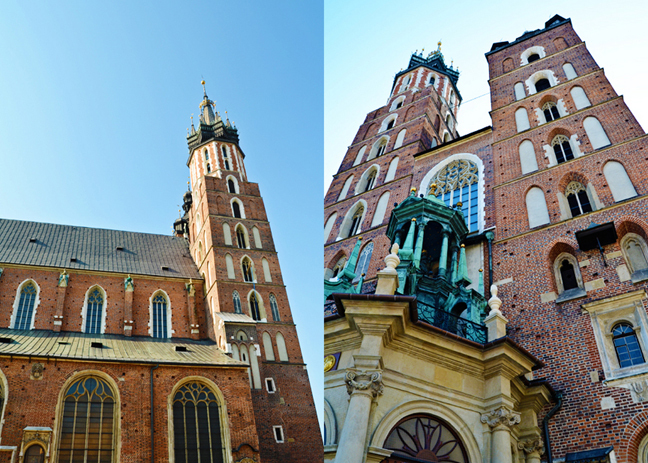 In the Middle Ages Kraków was known as "Small Rome" for its many churches. There are 142 churches and monasteries within the city limits (32 in the Old Town alone) - more per square mile than anywhere outside Rome. Impressive! From Mary Magdalene Square we could see Church of Saints Peter and Paul, St. Andrew's, and more. Turning left down Kanonicza Street. With so many churches around here the clergy had to live somewhere. Many lived on this well-preserved street - supposedly the oldest in Kraków. 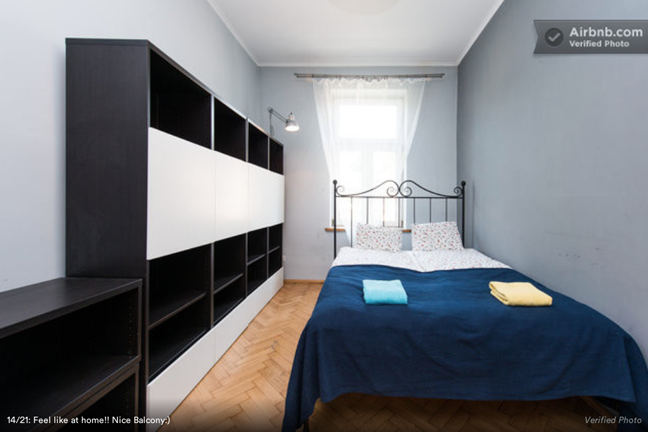 The Hotel Copernicus is named for a famous guest who stayed here five centuries ago. At the end of the street a ramp leads up to the most important piece of ground in all of Poland: Wawel. 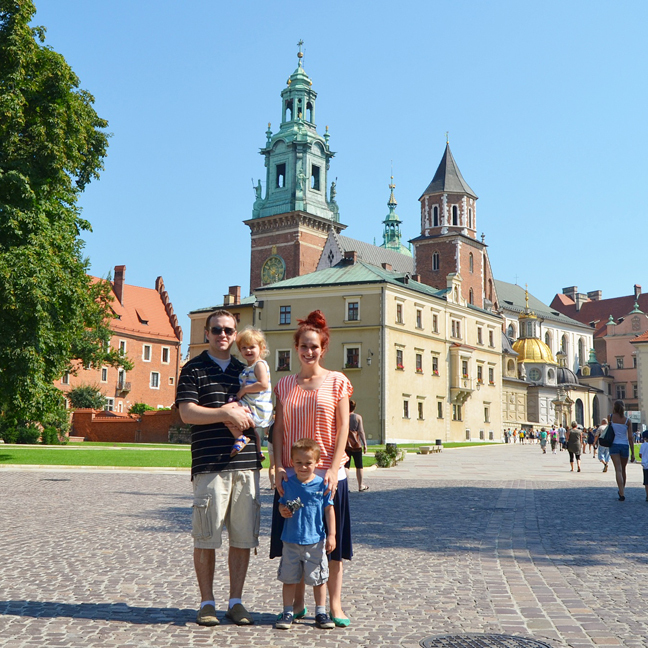 Wawel (pronounced VAH-vel), a symbol of Polish royalty and independence, is sacred territory. A castle has stood here since the beginning of Poland's recorded history. 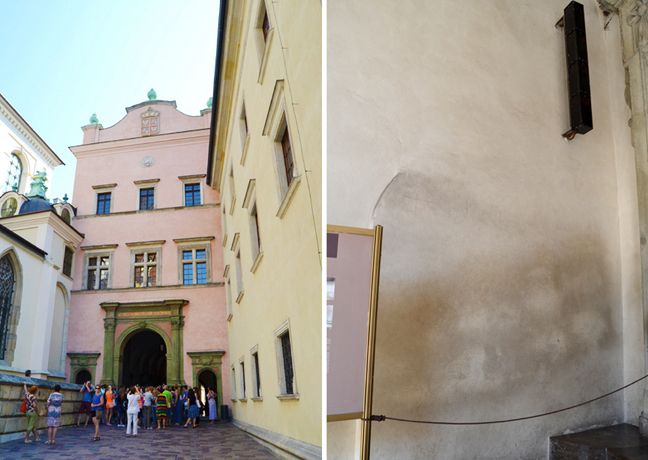 Today, Wawel is the most visited sight in the country. A stroll through the cathedral and castle grounds is free and there are many museums and sights to see. Huffing up the ramp, it's easy to imagine how this location - rising above the otherwise flat plains around Kraków - was both strategic and easy to defend. When Kraków was part of the Habsburg Empire in the 19th century the Austrians turned this castle complex into a fortress, destroying much of its delicate beauty. 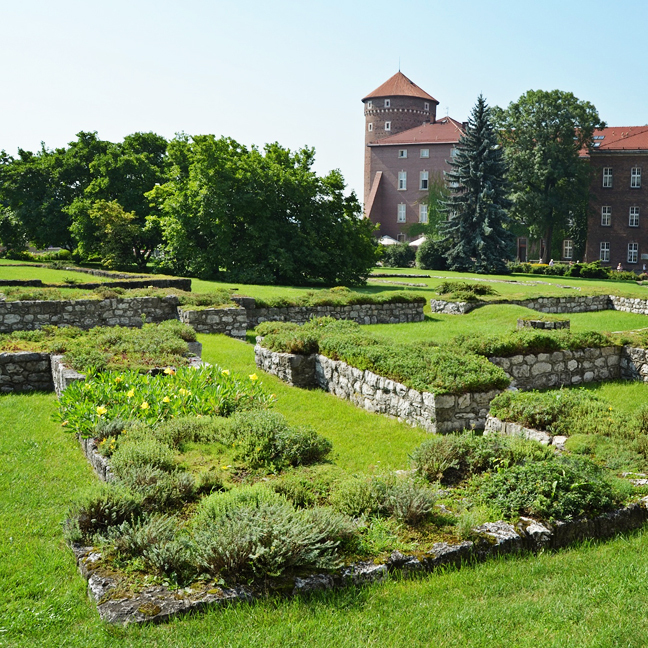 When Poland regained independence after WWI the castle was returned to its former glory. The jaunty equestrian statue along the rampway is Tadeusz Kościuszko (1746-1817) - a hero of the American Revolution and he helped design West Point. He also gave his name to several American towns, a county in Indiana, a type of mustard from Illinois, and the tallest mountain in Australia. The bricks along the ramp wall bear the names of Poles from around the world who donated to restoring Wawel. At the crest of the hill is Wawel Cathedral - Poland's Westminster Abbey. 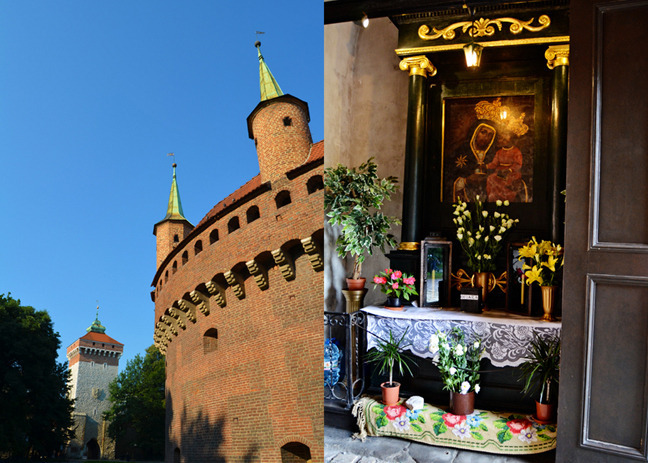 It holds the tombs of nearly all of Poland's most important rulers and greatest historical figures. This uniquely eclectic church is the product of centuries of haphazard additions, yet somehow it works. From left to right you can see 14th-century Gothic, 12th-century Romanesque, 17th-century Baroque, 16th-century Renaissance, and 18th- and 19th-century Neoclassical. Hodge podge of lovely! I quickly walked around inside but it was like being back at Versailles - packed like sardines! And no photos allowed. But it was really neat and I recommend it! Just maybe not on a Saturday. Behind the cathedral a grand pink-and-green entryway leads into the palaces's dramatically Renaissance-style Inner Courtyard. Adherents to the Hindu concept of chakra believe that a powerful energy field connects all living things. Some believe that, mirroring the seven chakra points on the body (from head to groin), there are seven points on the surface of the earth where this energy is most concentrated: Delhi, Delphi, Jerusalem, Mecca, Rome, Velehrad... and Wawel Hill - specifically over in the corner immediately to the left entering the courtyard. The smudge marks on the wall are from people pressing up against this corner, trying to absorb some good vibes from this chakra spot. No we didn't rub against the wall - the Wawel administration discourages this ritual and bans tour guides from talking about it... Back to the Inner Courtyard - if this space seems to have echoes of Florence that's because it was designed and built by young Florentines after Kazimierz's original castle burned down. The ground floor housed the private apartments of the higher nobility (governors and castle administrators); the middle level held the private apartments of the king; and the top floor - much taller to allow more light to fill its large spaces - were the public state rooms of the king. At the far end of the courtyard is a false wall, designed to create a pleasant Renaissance symmetry and also to give the illusion that the castle is bigger than it its. There's nothing but air on the other side. Back outside we surveyed the Field of History. This hilltop has seen lots of changes over the years. 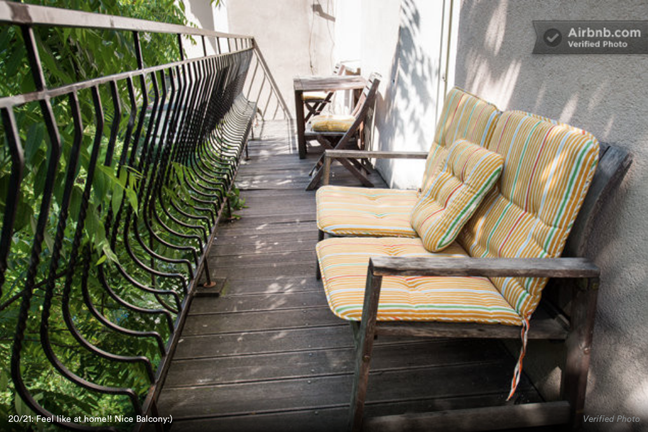 Kazimierz the Great turned a small fortress into a mighty Gothic castle in the 14th century. In the grassy field across from the cathedral are the foundations of two Gothic churches that were destroyed when the Austrians took over and needed a parade ground for their troops. The red-brick building is a hospital the Austrians built, now used by the Wawel administration. 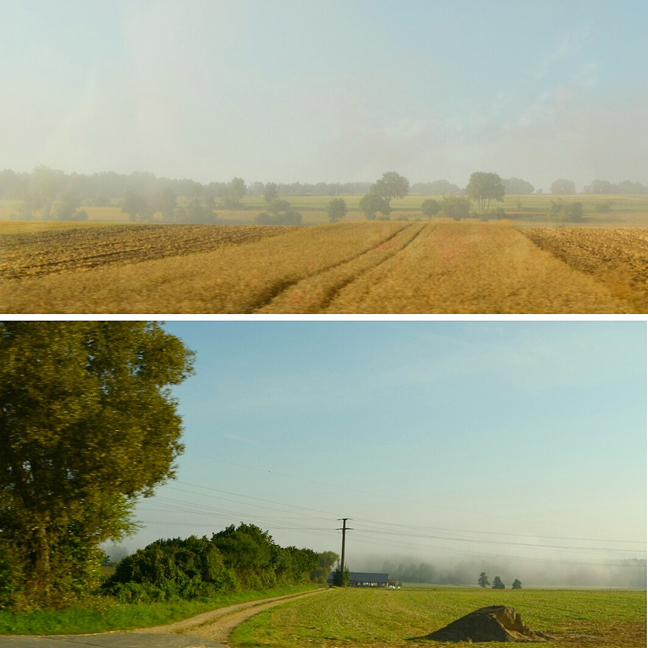 We headed across the field through a gap in the buildings to the viewpoint over the Vistula River. Here we are atop Wawel Hill! Directly below the viewpoint is a fire-breathing dragon - obviously we had to walk down to see it up close and personal because Fox LOVES dragons! Which means Jane does too. We were about to walk away but someone said it was about to breathe fire so we stayed and did indeed see the dragon make fire. Cool :) There's a story about a prince and a dragon and feeding it food then making it thirsty and it drinking the river and exploding... Or something along those lines! We headed back to the apartment for an afternoon nap. After naps we walked back through the Old Town - the race was going on full force and we had to cross the street at very limited places guarded by police. Fox strolling through the Planty. Cutest bike. Pretty park. 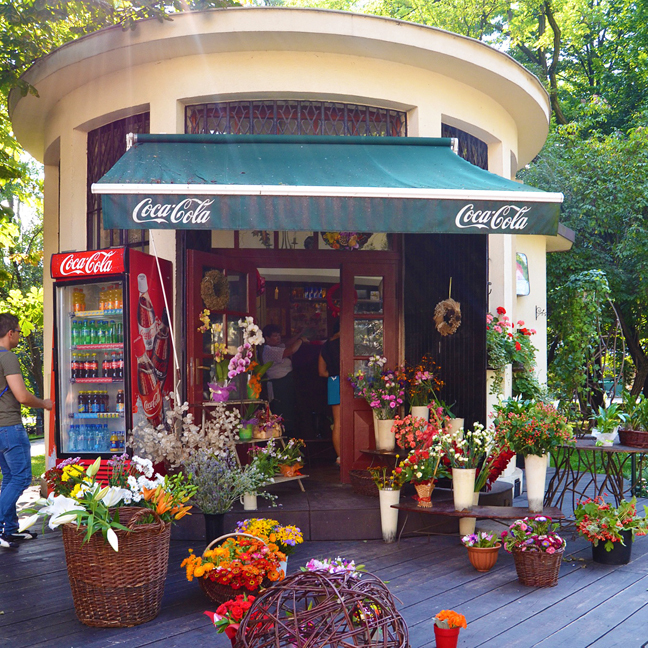 Flower and snack shop in the Planty. We headed out to the Dębnicki Bridge for this lovely view of Wawel Hill. Long walk to get there but definitely worth it! Walking back through the Planty. At this point it was dinnertime and we were famished. We found a market going on in the Small Market Square (behind the Main Market Square). We got a polish in Poland and some yummy potatoes. Pretty sights on the walk back to the apartment. Kraków Theater/Opera House. Fox is so creative! He found a basket, little stool, and round placemats as tires to make his own car! DAY 3 Chris figured out how to take a tram to the Jewish Quarter instead of walking to save our feetsies. We j-walked across the street instead of going the long way around to connect to the pedestrian underpass to get to the tram stop. A few minutes later the tram arrived and we climbed aboard. 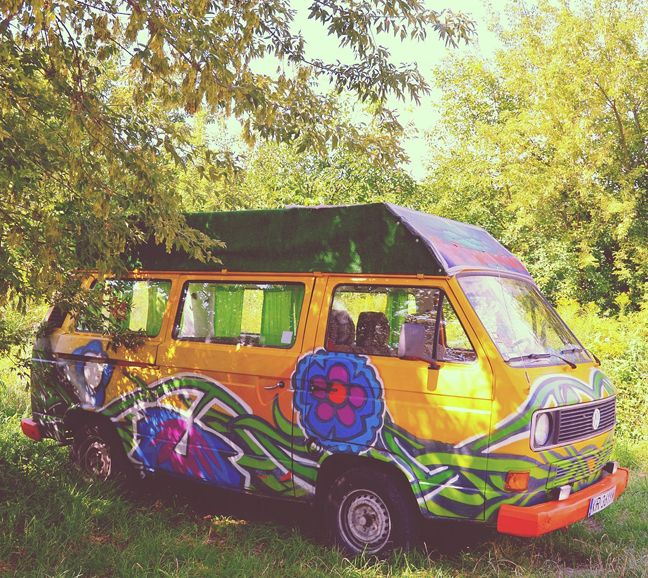 We arrived in Kazimierz (kah-ZHEE-mezh) early in the morning. 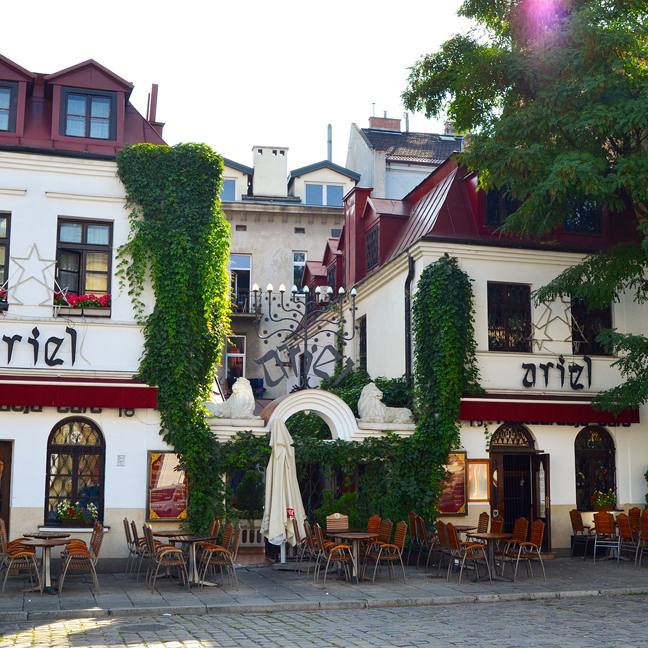 Kazimierz is the historic heart of Kraków's once-thriving Jewish community. After years of neglect the district has been rediscovered by Krakovians and tourists alike. 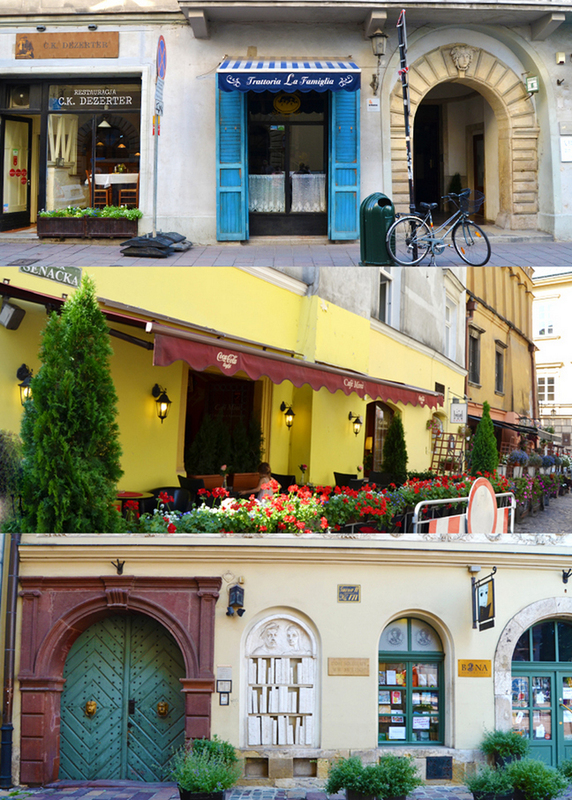 It's a local-feeling, character-filled neighborhood with a handful of Jewish cemeteries, synagogues, and restaurants. Buildings in the Jewish Quarter. Old Cemetery used to bury members of the Jewish community from 1552 to 1800. How much is that bunny in the window? The kids got a real kick out of this. I did too :) The Old Synagogue - the oldest surviving Jewish building in Poland, is now a museum on local Jewish culture. Across the street from the Old Synagogue is a recommended bagel shop run by expat Americans. It's been awhile since I've eaten a bagel on an adventure! Fox & Jane waiting for brunch. Chris got a toasted bagel with butter and I got a breakfast burrito. So good. I couldn't love this logo more - it's a "b" and an "a" overlapping, but it also looks like a plate with utensils, perfect for a little café/deli! Clever! We walked a couple blocks to Heroes' Square - filled with a recent monument consisting of several empty metal chairs. 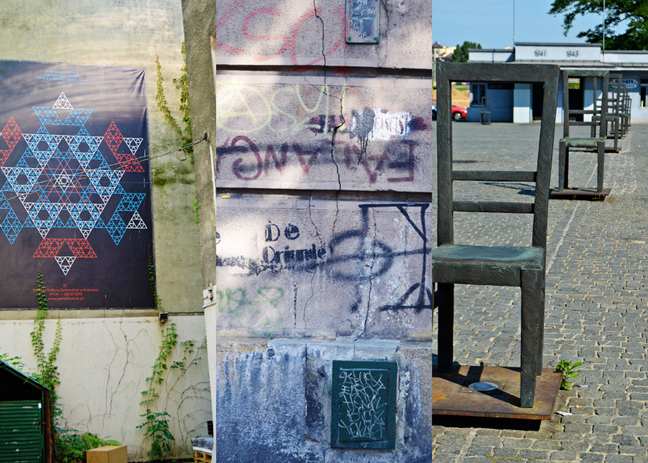 This is intended to remind viewers that the Jews of Kazimierz were forced to carry all of their belongings - including furniture - to the ghetto on this side of the river. It was also here that many Jews waited to be sent to extermination camps. Details of the Jewish Quarter. Allie - I found your car! Then we went to Schindler's Factory - yes, from Schindler's List. One of Europe's best museums about the Nazi occupation fills the actual factory building where Oskar Schindler and his Jewish employees worked. 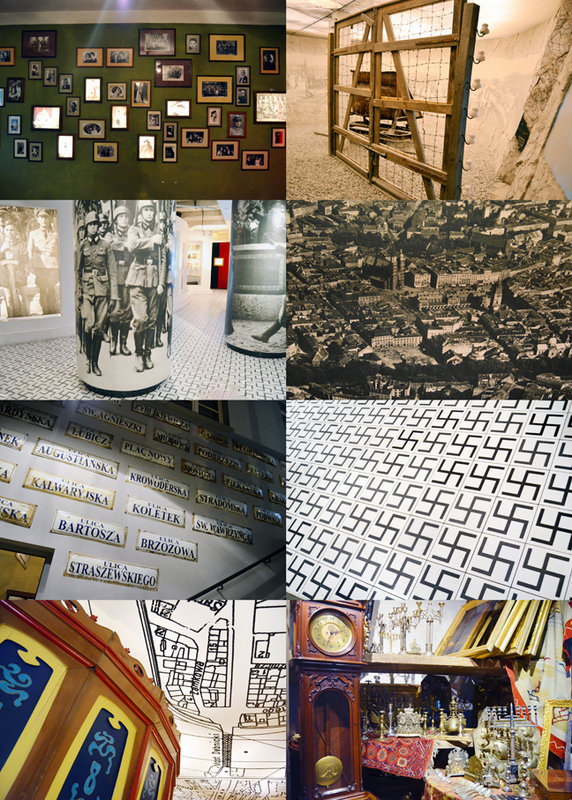 While the museum tells the story of Schindler and his workers, it broadens its perspective to take in the full experience of all of Kraków during the painful era of Nazi rule. Old scrapbooks. This hobby is important for future generations! The museum was humbling and sobering and it always puts a huge knot in my stomach visiting places like this. Fox stamping a card. Photo collage. This acrylic hallowed-out cube was filled with dishes produced at this factory. Schindler's factory was staffed by 1000 Jews from the nearby Plaszów Concentration Camp and he worked hard to try and save them from the Holocaust. 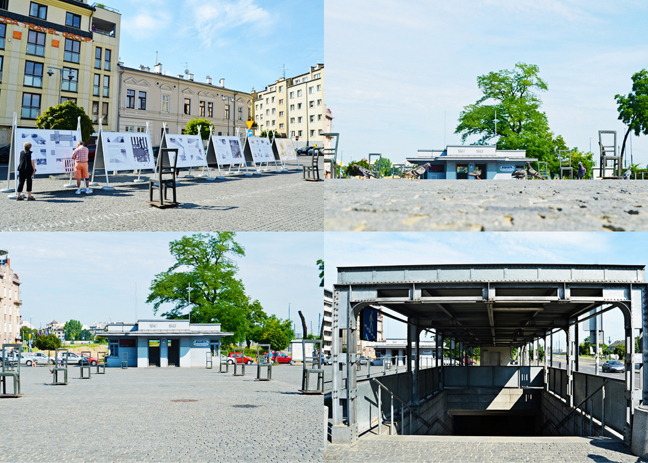 Schindler's List is a great and accurate depiction of the actual events and was filmed right here. 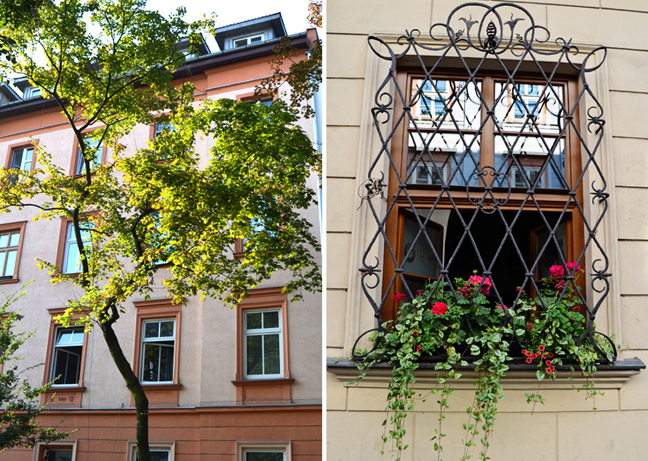 By the start of WWII, 65,000 Jews lived in Kraków - making up more than a quarter of the city's population. Today Kraków has only about 200 Jewish residents. Unbelievable. 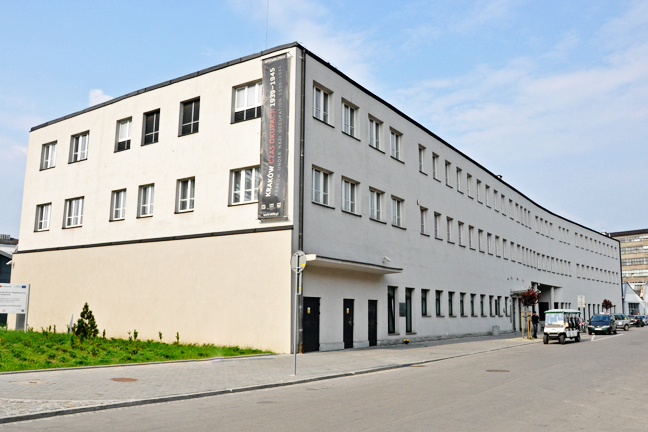 Next to Schindler's Factory is the MOCAK - Museum of Contemporary Art in Kraków. Definitely a more run down part of Kraków, lovely in its own way. We went back to the apartment and took an early nap. Back into the city we went to see the Main Market Square - passing an interesting sculpture on the edge of the Planty on our way. Yay! The beautiful Main Market Square was clear (well, of the race at least!) The statue in the middle of the square is of Romantic poet Adam Mickiewicz. At the end of the square is the tiny, copper-domed Church of St. Adalbert, the oldest church in Kraków (10th century). I climbed the stairs to the top of the Town Hall Tower to get some views of Kraków. Imagine this place before 1989. There were no outdoor cafés, no touristy souvenir stands, and no salesman hawking candy or quacking or chirping mouthpieces. The communist government shut down all but a handful of the businesses. They didn't want people to congregate here - they should be at home resting because "a rested worker is a productive worker." 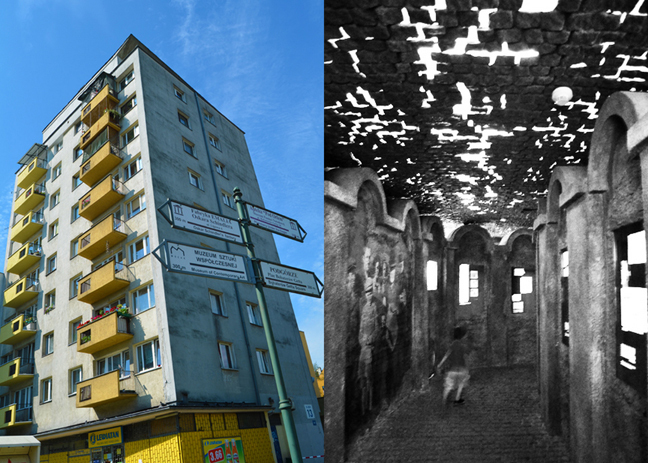 The buildings were covered in soot from the nearby Lenin Steelworks in Nowa Huta. My how things have changed, for the better! Then we went inside the Cloth Hall to the terrace for some more views of the Main Market Square. The elevator we used reminded me of the glass elevator at the end of Charlie and the Chocolate Factory. Before the rain came we went inside St. Mary's Church. 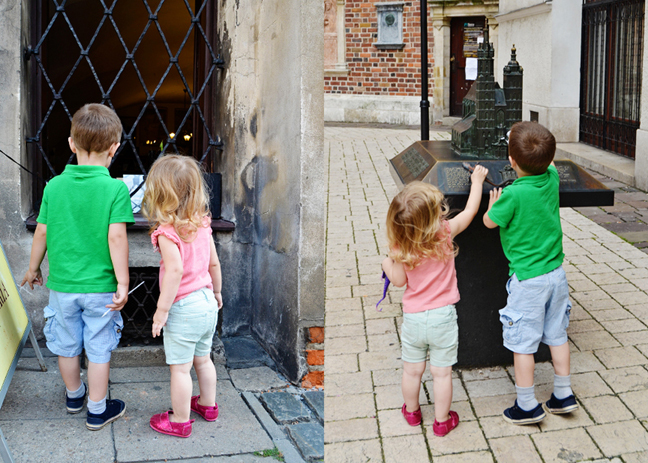 A church has stood here on this spot for 800 years. The original church was destroyed by the first Tatar invasion in 1241, but all subsequent versions - including the current one - have been built on the same foundation. Fox and Jane waiting and playing while Chris bought tickets. Whatever Fox does, Jane follows closely behind and copies him. She idolizes her big brother. How many towers does the church have? Technically one. The shorter tower belongs to the church and the taller one is a municipal watchtower from which a bugler plays the hourly hejinal song. According to Kraków's favorite legend, during that first Tatar invasion a town watchman saw the enemy approaching and sounded the alarm. Before he could finish the tune an arrow pierced his throat which is why even today the hejinal stops suddenly partway through. We heard the song a few times which was fun. Inside my jaw immediately dropped to the floor. WOW! One of the best medieval woodcarvings in existence stands at the top of the altar - the exquisite three-part altarpiece by German Veit Stoss. Carved in 12 years and completed in 1489 it's packed with emotion rare in Gothic art. When the altar doors are closed there are scenes from the lives of Mary and Jesus. 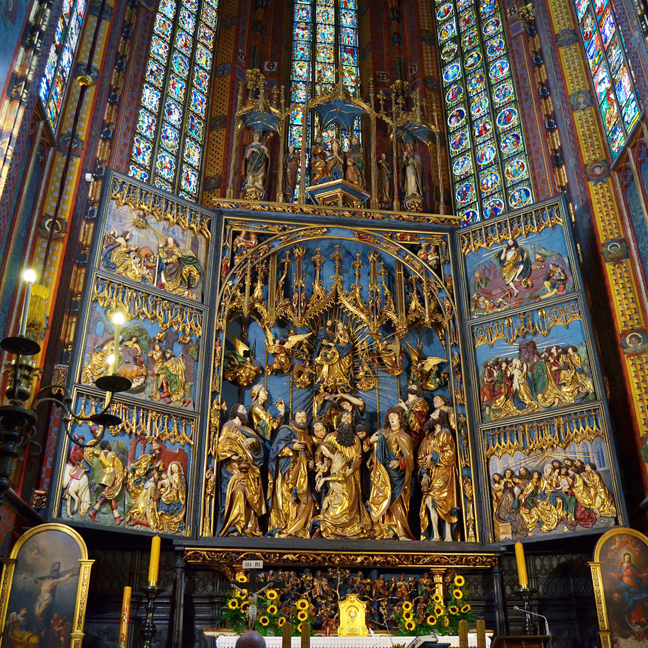 The open altar depicts the Dormition of the Virgin. Usually I put pictures of the insides of churches in 4-up collages, but the interior of St. Mary's is so magnificent they each get to stand alone and shine. 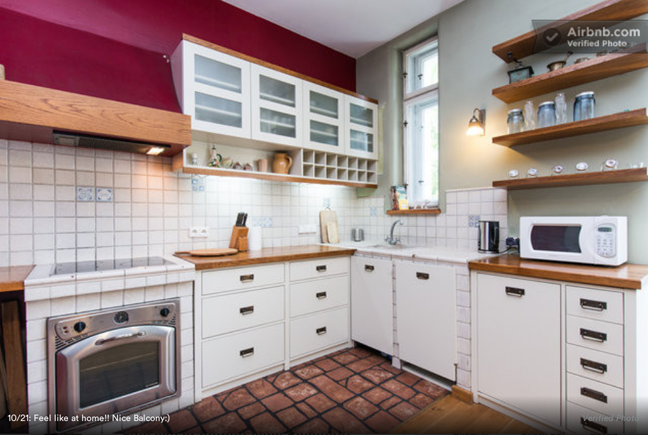 I love the royal blue star-speckled ceilings. On our way back the apartment we took a one-street detour to the Kraków mall. I felt like I had been transported into America! So many stores I recognized and love! It felt so good to feel at "home" for a minute. Definitely made me homesick. I miss malls :) We went into a pet store where Fox and Jane ran back and forth between the fish, turtles, mice, and bunnies, saying "So cute!". No more pets! We walked back to the apartment, did the bedtime routine, then woke up early the next morning and drove home. Note - the infamous Auschwitz Concentration Camp is an hour away from Kraków - the most poignant memorial anywhere to the victims of the Holocaust. I'm not sure if children are even allowed, but we wouldn't want to bring Fox and Jane at this point in their lives. Hopefully someday we'll get to go back. Traveling with two toddlers is a lot of work. Like, a lot a lot. But, it's so worth it to see these amazing sights and places and I hope that they can remember these adventures too through pictures and home videos and scrapbooks and stories! Outstanding recap and gorgeous photos! 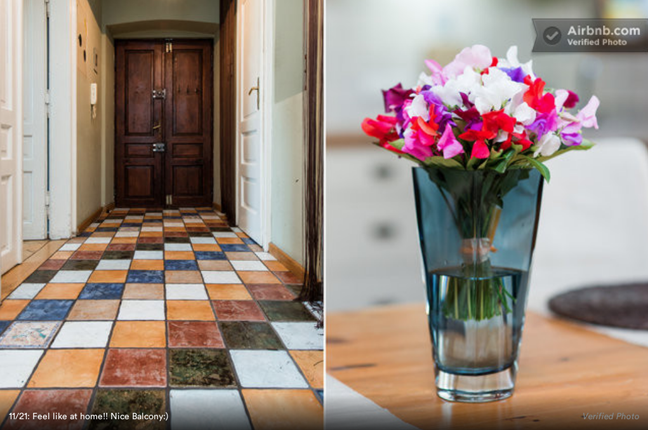 The tile in the place you stayed at is WOW!! 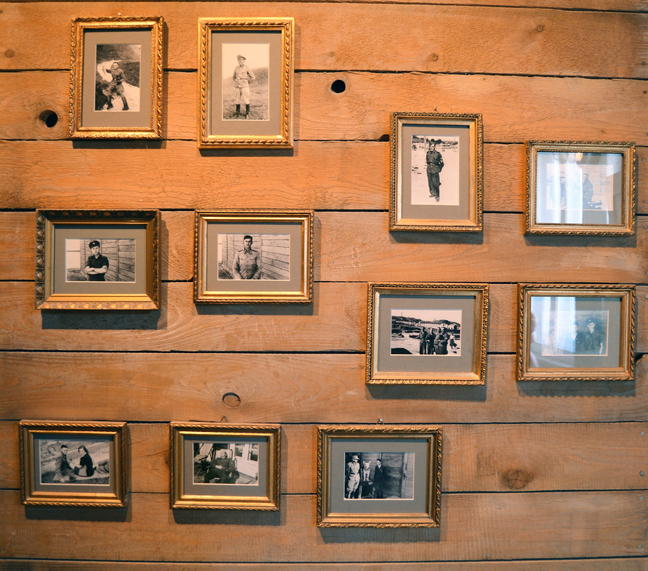 And that is crazy about the Jewish population there now ... and sad too :( Loving all the photos!!! Oh gosh, the colorful buildings, the history, the culture. I miss Europe! And that church, incredible!!! !